When visiting any new city on a short stay, the last thing you want is a guessing game when trying to finding the perfect restaurant. Here are a few places we recommend in Bydgoszcz and Torun. 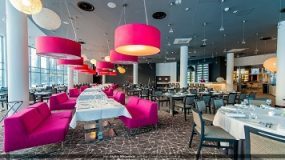 In the heart of the Copernicus Complex is the Sfera Restaurant. The brainchild of Sebastian Krauzowicz, an award winning chef with a growing reputation for all things culinary.